A lassi is a yogurt-based traditional Indian drink, sweetened or spiced with sugar or herbs and spices. The Tomato Lassi is a variation on that drink which adds – wait for it – yep, tomato juice. It’s a delicious, somewhat filling, non-alcoholic cocktail which is great as a snack or a very light meal. 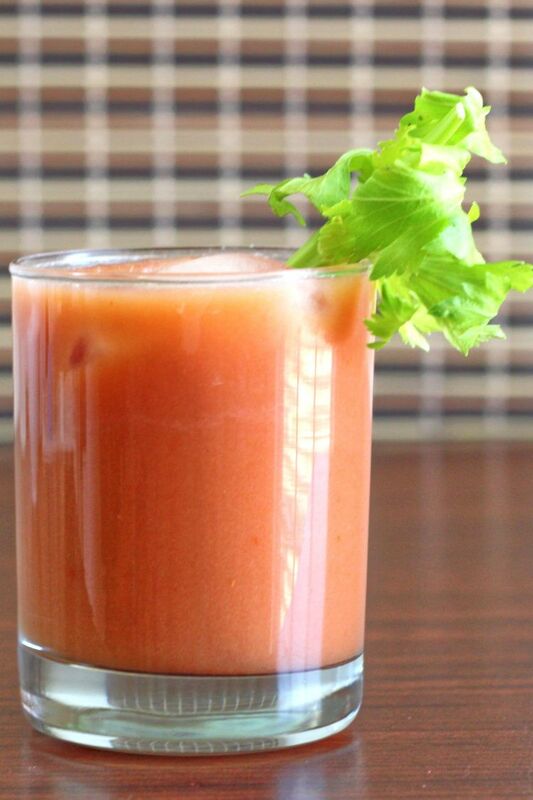 It looks a lot like a virgin bloody mary, and chances are if you like one you’ll like the other. But the flavor is simpler and more straightforward. This is a wonderful cocktail to have with any meal you would pair with tomato juice. Savory brunch items, such as omelettes, quiches and scrambles, are delicious with it. It’s quicker and easier to make than a smoothie, which also makes it a pretty good breakfast substitute drink. It’s also very good alongside a hamburger and fries. While the recipe calls for you to blend everything together in a blender, and then pour it over ice, there is another way to make this. You can shake it in a cocktail shaker with ice, in the traditional fashion, and then strain that into a glass with or without ice. While this beverage can stand up to being watered down by the ice, I really like to serve it chilled without ice. One more tip: you can actually use V-8 in this drink. It’s actually pretty good that way, although I also like just straight up plain tomato juice. If you’re a fan of V-8, give it a try. If you do use V-8 original, you can leave out the salt. 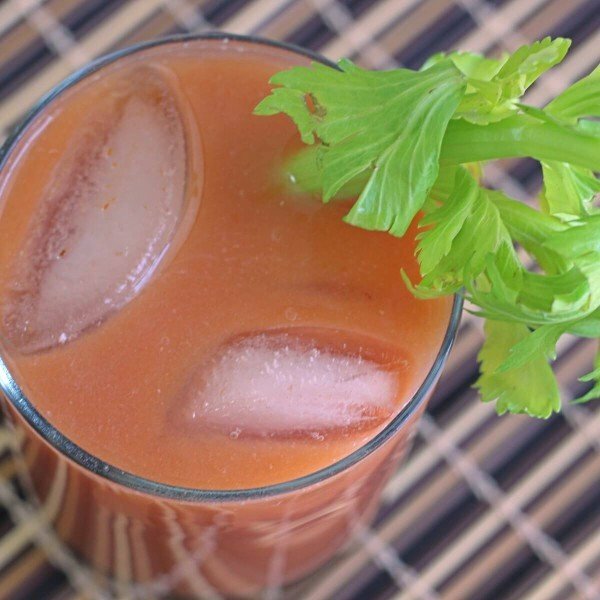 Thoroughly blend the tomato juice, yogurt and salt together in a blender. Fill a collins glass almost all the way with ice cubes. Pour the mixture into the glass over the ice cubes, then add the celery salt and stir thoroughly. Garnish with a stick of celery.